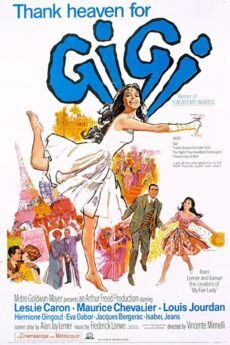 Laemmle Theatres and the Anniversary Classics Series celebrate the 60th anniversary of one of the most beloved and acclaimed musicals of all time, GIGI. The film won nine Academy Awards in 1958, including Best Picture, Best Director Vincente Minnelli, Best Adapted Screenplay by Alan Jay Lerner, and Best Scoring by Andre Previn of the original songs by Lerner and his frequent collaborator, Frederick Loewe. At the time, that was the most Oscars ever awarded to a single film, and GIGI also has the distinction of being one of only three films in cinema history to win every Oscar for which it was nominated. GIGI came about partly as a result of the phenomenal stage success of Lerner and Loewe’s ‘My Fair Lady,’ which conquered Broadway in 1956. The pair was looking for a follow-up, and that is how they happened to strike up a partnership with Freed and Minnelli, masters of the MGM musical. 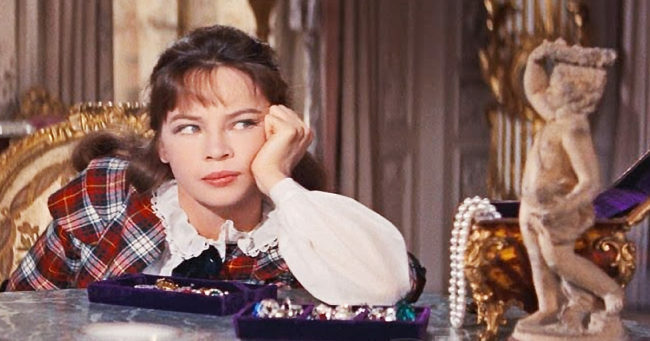 It was Leslie Caron, the star of ‘An American in Paris’ along with Lili (which earned her an Oscar nomination), who suggested the idea of adapting ‘Gigi’ into a musical. Freed had a few qualms, since the source material was not exactly wholesome family entertainment (the bedrock of most MGM musicals). The 1944 novella by French author Colette told the story of a young woman groomed by her grandmother and great-aunt to be a courtesan in turn-of-the-century Paris. Censorship was just beginning to loosen in Hollywood, and Freed and Lerner felt they could mask the sordid subject sufficiently to get by with it. Adults would understand the racy underpinnings while family audiences could remain happily oblivious and enjoy the scenery and the songs. Co-starring with Caron were Louis Jourdan, Maurice Chevalier (who earned an honorary Oscar that year), Hermione Gingold, Eva Gabor, and Isabel Jeans. 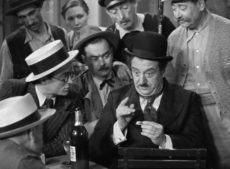 The score includes the Oscar-winning title song, the lively “The Night They Invented Champagne,” and a memorable duet by Chevalier and Gingold, “I Remember It Well.” The film also won awards for cinematography, production design, and for the elegant costumes by the brilliant Cecil Beaton. Our 60th Anniversary Screening of GIGI screens Saturday, December 8, at 7:30 PM at the Ahrya Fine Arts Theater in Beverly Hills. Click here for tickets.